I wanted to take a moment to point out two items of mention related to Drupal from the past week. First, congratulations to the United Nations World Food Programme, which recently relaunched their website in Drupal! Congratulations as well to both Phase2 Technology and Workshop friend Development Seed for the outstanding job on this beautiful and functional website. I had the privilege of working with the WFP a few years ago in preparation for Walk the World 2005. The website for that project was one of the very first Drupal sites that I programmed on (having administered a few before that). I'm glad to see that Drupal has made inroads into the WFP's structure all the way to the top since then, allowing them to maintain this great new website and further their humanitarian efforts around the world. The other bit of info is about Drupalcon this March in Washington, DC. Today, the final ticket was sold, and the attendee count will be 1,300 people! The tentative session list, based on submitted proposals, is now out. I hope to be involved in presenting two sessions, my own proposed Beyond The Web: Drupal Meets The Desktop (And Mobile), which is likely to become a panel presentation on the topic, and Miglius Alaburda's Introducing a new File Framework, which is likely to become a joint session on file handling in Drupal. 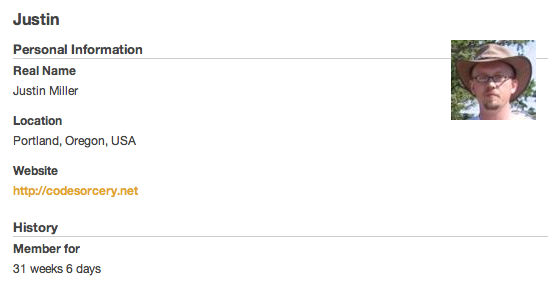 I also hope to be releasing a new Drupal module in the next week or two in these areas, so stay tuned. The amount of momentum around Drupal right now is pretty astounding! Fast forward 8 years, and we're a global project with hundreds of thousands of users, thousands of active contributors and a healthy ecosystem. Along the way, I've always tried to listen to the community, and to trust my own instincts and moral compass. We built an amazing community together, and because of that, working on Drupal continues to be a labor of love. Even after eight years. A big project can't always do what a small project can; there is more legacy and overhead, but nonetheless, I think what is important is that we stayed true to our initial values: innovation, collaboration and a healthy desire to keep the code as small and simple as possible. I'm very much looking forward to where the next eight years takes Drupal and the web at large! If you are interested in finding out more about Drupal, have a look at groups.drupal.org to see if there is a group near you or head to DC in March for Drupalcon. I just attended my first Portland Drupal meeting last night and hope to be more involved with the community here going forward. The latest episode of Mac Developer Roundtable has gone live and I was pleased to be invited on again (see Getting around... table from a few months ago for the first time). This episode's topic is "Getting Started With Cocoa" and is intended for people who are new to Cocoa, Apple's programming framework for Macs & the iPhone. Joining me on the podcast were some great voices -- Danny Greg, Brent Simmons, Mitch Cohen, Colin Wheeler, and of course the host, Scotty. I really enjoyed being on this show since only a few years ago, I was a newbie in Cocoaland and was gobbling up all of the resources I could find to teach myself how to use Cocoa. Part of what has always drawn me to the Cocoa community is all of the people who are blogging their experiences, open sourcing their code, and giving behind-the-scenes looks at what makes Mac apps tick, so it was great for me to be on a show and try to give back to the community at large and maybe inspire some new folks to keep at it and build Mac apps. I'd also like to put in a good word for what Scotty's been building over at the Mac Developer Network. There are a number of great shows, both free and members-only, that are definitely worth checking out. Whether you are just getting up to speed or are an old hand at Cocoa and all things Mac dev, Scotty's got something for you. I really enjoy the podcasts that he puts out, ranging from the technical on to shows such as Developer Lives, which goes behind the scenes to profile the lives of Mac developers. And speaking of developer lives, I'd be remiss if I didn't elaborate a bit about my credentials as a programmer. In the show, I started a discussion about everyone's programming backgrounds and where they started, indicating that I started programming Perl and PHP ten or twelve years ago. What I meant, I guess, was recent programming experience that led you to Cocoa. I then proceeded to get schooled with everyone else's experience, since they went all the way back to their very beginnings. So, to fill in a bit about my own programming history, I started on a TI-99/4A in the 80s programming BASIC (Mr. Bojangles, anyone? ), then moved to both Apple IIe and IBM PCjr (both also BASIC), and only much later, in college, did I get into Perl and PHP in my free time in the late 90s before turning it into a career. Early on, I spent a lot of time on things like making the Jeopardy! theme song play on my TI or typing spy games from a book into my elementary school's IIe. I now spend most of my time in PHP and Cocoa, pretty evenly divided, and enjoy building solutions that touch on both the client- and the server-side using this experience. I guess what I'm trying to say is that in some way, I guess I always knew I'd be a programmer, as it has always been something I've been interested in. So consider that my full background -- maybe you share a similar one, or maybe Cocoa will be your first programming language. Either way, welcome. One last note -- don't forget to check out the gag reel at the end of the show. It's pretty funny, at least for me as one of the folks involved. At last, I'm happy to announce the Code Sorcery Workshop support forums! These forums will gradually become the official support channel for our Mac products Meerkat and Pukka, as well as a place to discuss what's on your mind with regard to our website, potential future products, our services, or happenings in the Mac & Drupal communities. The forums have been open for a week or two in unannounced form, but have quite expectedly not garnered much activity, so consider this the official "word". Feel free to go to it! We are using Drupal for the forum solution, which is what is used for the rest of the website as well. I'd like to take a moment to go over some of the features that this provides. In the near future, I also hope to make another post about the more technical details, such as which modules were used, what kind of custom solutions were implemented, and what administrative features are provided on the backend. The main page gives an at-a-glance view of the latest topics, much like any forum software. Posts are organized into containers, such as Mac OS X Products, and below that, forums addressing a particular product or group of topics, such as Pukka. When new topics are posted under a forum, they bubble up to the top. To participate in the forums, you must register for an account. With this account, you can maintain a unique identity across all of the posts. You can include as much or as little information as you like, currently including real name, photo or avatar, physical location, and website. This information is only available to other forum users -- only your username is available publicly. In addition, you get a box in the right sidebar with easy access to My forum posts (posts created by you) and My forum votes (posts you've voted on). Just like the blog archives and all of the pages on the site, forum topics are searchable. And these searches are able to be bookmarked, so you can easily check back frequently for updates related to a topic you are interested in. Aside from easy access to any forum topics that you may have created yourself, you can also vote on anyone else's topics using a zero- to five-star rating system. Perhaps the best use for this feature is that you can use this to flag topics that you are interested in periodically checking back on. Another use might be a tip that you really want others to see or a feature request that you'd like to weigh in on. 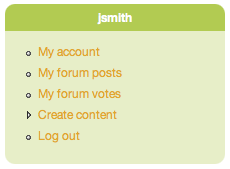 The popular topics get aggregated to a special page called top forum topics where they can be easily tracked. I'm hoping that this can be a useful way to chart the future direction of our applications, as well as to more easily resolve important issues affecting many customers. Container activity: For example, all posts about Pukka. Just add /feed to the end of any container URL. Topic activity: If you make a post, you subscribe to all comments on the post by clicking the link on the topic page or adding /feed to the URL. In conclusion, I'm happy to launch the forums and I hope that they will be of benefit to users of our products, Mac, iPhone, and Drupal enthusiasts, and folks interested in our services, for starters. Please, if you have any suggestions or feedback, consider using the General Discussion forum topic. Just wanted to take a moment to congratulate Delicious on five years! Delicious was probably the first software many of us heard of that was using the idea of tagging, and now it's everywhere. I started using Delicious myself just shy of four years ago, both with a personal account as well as a shared work account at my former employer. That's where the idea for Pukka was born, after I (and several coworkers at our Mac-only company) got tired of switching accounts on the web all the time. While many alternative services, most notably Ma.gnolia (which also works with Pukka) have also popped up and innovated in new and different ways, Delicious remains the grandaddy of them all. Here's to five more years! Drupalcon is coming to DC! I'm happy to help announce that the next Drupalcon will be March 4-7, 2009, in Washington, DC! As a former member of the awesomely rocking Washington, DC Drupalers, it will be a real thrill to get back to the city as part of our biannual pilgrimage to the hub of all things Drupal. Expect this to be the biggest Drupalcon ever -- the first 100 tickets sold out in ten minutes, but others are still available. I've attended Drupalcon Barcelona and Drupalcon Boston in the past, but I'm looking forward to this one especially as DC is where Code Sorcery Workshop got started. Plus, we'll have a new president and the whole town will be abuzz. We all know that Drupal is a robust self-contained system for running a social website, but what about when you want to hook it up with the desktop or mobile devices? This session will take a look at the capabilities built into Drupal core, as well as contributed modules, for combining Drupal with desktop and mobile clients. The presenter is a Mac & iPhone developer and the co-maintainer of the DAV API, File Server, Boost, and Trace modules, and inadvertently had code in Drupal core in 2001. Whether you are a Drupal veteran, a web developer who's been meaning to try it out, or a newbie (technical or not) who's wondering what all the talk is about, Drupalcon is a great (and relatively affordable) way to tap into the vibrant Drupal community. There's no better place to be if you are, or want to be, involved with Drupal in any way. I recently had the pleasure of participating in the excellent Mac Developer Roundtable podcast, where the featured topic was open source software. I've been involved in open source software myself for about ten years, so it was great to, first, be asked onto the show, but also, to share my experiences and knowledge -- not to mention, to "meet" and discuss software with some great fellow Mac developers! This podcast was particularly satisfying because it brought together the two main halves of my business -- Cocoa and Mac development, where I tend to use open source software, and Drupal and web development, where I tend to contribute open source software. So, have a listen to the show and if you'd like to check out my main open source efforts, I have an info page with more details. I had the opportunity to attend the October meeting of the Portland CocoaHeads club last night and had a great time! I especially liked the location, CubeSpace, and look forward to spending some more time there soon. My friend Jon Wight of Toxic Software was able to be on this side of the country, too, to demo his, and others', recent work on the Obama iPhone application. Great job, guys! It's a really impressive piece of software, all the more so because it was a volunteer effort and was created in a mere three weeks! I also did brief demo towards the end of the meeting of my dockless mode hack, just to share it and to get some eyes on the problems I've seen with it. Lastly, just a note for the curious. When I introduced myself last night, a couple folks mentioned that they had heard of my blog or products, but had no idea I was based in Portland. Well, it's a recent thing, and I haven't tended to talk about travel or personal life much on this blog, but I'm now located just outside of Portland. This year has been a wild ride wherein my wife and I have attempted to live in a number of places, taking advantage of my mobile work ability and our shared wanderlust. Thus far, we've lived in DC, which we sadly left in March after three years, and then in Spain, Cape Cod, and now, the West Coast. I think we'll be staying here for some time, though, especially given a great Cocoa group like CocoaHeads and the vibrant tech (and not to mention, beer) scene in Portland. I've just released Pukka 1.7.2, an update which focuses solely on performance and speed. I studied the slowest points of the application and honed and sharpened those routines, making Pukka much faster at the things that it does most often in the background. And I studied the application launch and optimized the slowest parts of that as well. I'm very happy to push out a free update that focuses so intently on making the application faster to launch and faster to use. So please, go grab it now and enjoy! Update: I forgot to mention that I also made a change in the underlying URL fetching library used by Pukka on Leopard. Some time ago, I had moved to an alternate library due to stability issues on the then just-released Leopard release of OS X. Those days seem to be long gone, so I've reverted to the standard Cocoa way of doing this now for slightly better performance, but more importantly, better adherence to any system-wide proxy settings that you have set in your networking preferences. As always, you can keep up with the full release notes of each Pukka release in your RSS reader by following the appcast. Like many other people, I received an email this morning announcing that Mollom, a project of Drupal founder Dries Buytaert, is out of beta. I use Mollom on this website, as well as another personal one, to reduce and sometimes outright eliminate blog comment spam. In my configuration, Mollom works by using heuristics against blog comments and if they are considered spammy enough, the user is challenged to a simple CAPTCHA system to prove that they are not an automated spammer. Mollom is a great system, since some studies (direct PDF link) have shown that as much as 75% of all attempted comments on blogs are spam! I've been using Mollom for a few months and have been very happy with it. If you run a blog, even one that isn't in Drupal, I would encourage you to check it out. It's free for many uses, so you lose nothing by at least giving it a shot. There is a developer API and Mollom has already made downloadable integration available for Drupal, WordPress, and Joomla, as well as language-specific libraries. Congratulations to Dries and the Mollom team! I look forward to the system only getting better as more and more folks start to use it. Update: A couple folks asked if I'd mind posting my Mollom statistics graph, so you can find it here. 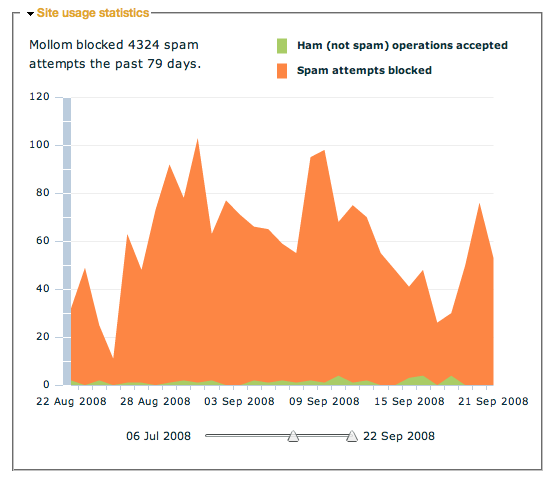 There were many hundreds of spams stopped in the past month!